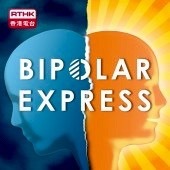 Bipolar in Hong Kong? Join us! Always Look On The Bright Side Of Life bee-do, bee-dobedobedo! Next Post Happy Easter from Bipolar HK! The Aspect of Bipolar That Led To Being (Wrongfully) Arrested On A Plane… Twice! TRENDING ON BIPOLAR HONG KONG! ExperiMENTAL is our bold new art project and photography exhibition. We’ve commissioned 10 pro photographers to capture the complexities of 10 mental heath conditions in a single shot. The results will … Continue Reading ExperiMENTAL Exhibition The post ExperiMENTAL Exhibition appeared first on MENTAL IDEAS. Mental Ideas Ambassador Raffaello DeGruttola gets hustled by Anne Hathaway and Rebel Wilson on a train in this trailer for movie The Hustle, which hits cinemas May 10, 2019. We … Continue Reading Ambassador Raff Gets Hustled by Two Unknown Actresses The post Ambassador Raff Gets Hustled by Two Unknown Actresses appeared first on MENTAL IDEAS. Disruptive Innovation is everywhere. From healthcare to social media, education to music, change-makers from across the board explore the importance of disruption in every corner of business, tech and life. … Continue Reading The Brains Behind Disruption The post The Brains Behind Disruption appeared first on MENTAL IDEAS. The Arrival is the first exhibition in Asia of Australian illustrator, author, and filmmaker Shaun Tan, exhibiting a selection of more than 30 works of original drawings and digital prints … Continue Reading Last Chance to see Shaun Tan’s Exhibition! The post Last Chance to see Shaun Tan’s Exhibition! appeared first on MENTAL IDEAS. Sadie Kaye‘s piece on sleepwalking was published by The Mighty on New Year’s Day: The Aspect of Bipolar That Led to Being Wrongfully Arrested on a Plane…Twice! The post The Aspect of Bipolar That Led to Being (Wrongfully) Arrested on a Plane… Twice! appeared first on MENTAL IDEAS.